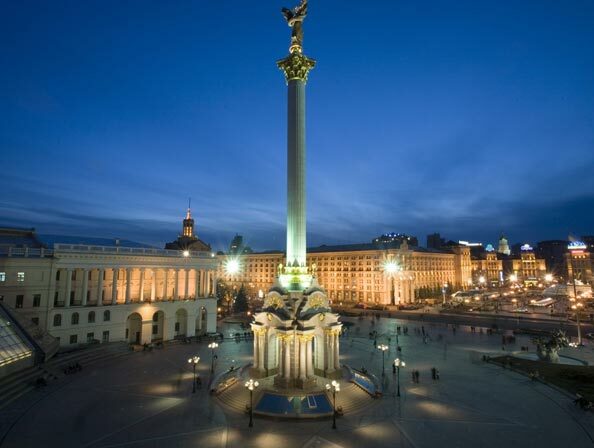 Tour clients travel to Kiev to meet both the beautiful city and its beautiful women. Kiev is the largest city of Ukraine and is proclaimed as the capital city and industrial center of the country. The city holds major industries which include: food processing, manufacture of machinery, machine tools, chemicals, industrial materials, textiles, metallurgy and rolling stock. 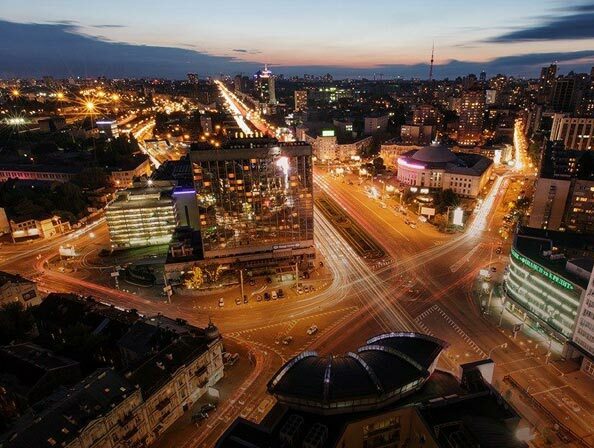 Being one of the busiest cities in Europe, you can find office centers, banks, trade centers, commercial businesses and more within Kiev. Aside from the concrete sights and buildings, Kiev is also known as the “greenest city.” Over 43,000 of the city’s hectares are green zones which include botanical gardens, public gardens, woods, parks and tree-lined streets. Not only is Kiev developed in terms of technology and industrial businesses-- the city has also a good transportation system. You can travel to Southern and Western Ukraine, Moscow, and Poland through the city’s all-weather roads, subway, rail and bus. With the ideal temperature and climate, touring around Kiev should not be a problem for any tourist. Crime rates are also low, which make walking around enjoyable and memorable with no fear for their safety. There are many sights to see around the city besides the lush green gardens, buzzing city life, beautiful women and historical museums. 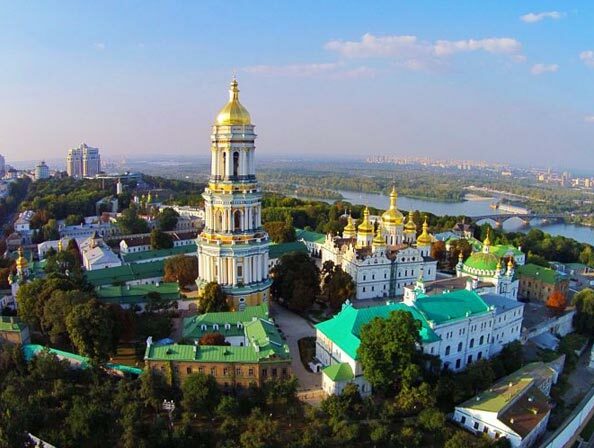 The city has an interesting history and background which make Kiev an ideal travel destination for you. Through our services, learn how to meet women in Kiev and how to explore the historic capital of Ukraine. Enjoy all the sights and experiences that can only be found in Kiev. Kiev is the capital of Ukraine which is found in Europe. The history of Kiev is just as interesting as its present day glory. Ukraine gained independence as a state around 1991 and gained its sovereignty from Russia. The currency of Ukraine is Hryvnia (UAH) and its locals are called Ukrainians. There are seven countries around the country’s borders such as Belarus, Poland, Moldova, Romania, Hungary, Slovakia, and Russia. The city got its name from Kyi who is one of the four legendary founders. Kiev is one of the oldest cities in Eastern Europe and has established a commercial central as early as the 5th century. The city has a humid continental climate which can reach from 58 degrees Fahrenheit up to 76 degrees Fahrenheit during warm months. During the coldest months, the temperature can drop to about 23 to 30 degrees Fahrenheit. How to Get to Kiev, Ukraine? There are multiple ways on how you can reach Kiev. Each one has a different experience and route which can be quite confusing for first-timers. Unless you have an agency to take care of your travel arrangements, here is a short guide on how you can get to Ukraine’s capital city, Kiev. The airport located southeast of the city center is called the Boryspil International Airport. The airport has about three terminals and most international flights arrive in terminals D or F. From the terminal, you can get to the city central via the bus (also known as sky bus), or taxi. Several taxi companies have their staff drivers speak in English quite fluently. It’s recommended if you book with companies who can arrange drivers to pick you up for a hassle-free travel. The airport located southwest from the city center is called Zhulyany Airport. The airport has only two terminals which are about one kilometer apart from each other. From here, you can take the train which takes Kiev’s central railway and is close to the center of the city. There are direct day and night trains available which can take you to all major cities and towns within the country. You can also take the bus which stops at the central station. You can sign up for our Kiev singles tours which we offer at budget-friendly rates along with excellent accommodations and services during the trip. We organize these introduction socials and tours around Kiev multiple times within every year and offer affordable and quality services to singles like you! Kiev travel packages are offered here where you can join Kiev singles tours to meet beautiful women and the city. There are many rules and regulations within the city which can be confusing for tourists who are unfamiliar with the cultures and traditions of Ukraine. For female tourists, women are supposed to cover their heads and wear skirts before going inside caves or churches, but this expectation does not apply to male tourists. Many of the tourist destinations within the city provide English guides, which are great for international tourists. There are also many professional and reliable tour guides which you can hire to bring you around the city. For those joining romance tours, you will already be provided with a personal translator and guide, so it will be more convenient for you. You can also bring your date around the city and enjoy your time together learning about her heritage and culture. If you ever decide to tour around alone, don’t worry about being lost. The locals in Kiev are hospitable and eager to help you out if you need anything. Ukrainians are knowledgeable in the English language but expect to have language barriers and miscommunications, nonetheless. It would be ideal if you could learn a few basic phrases and greetings before traveling to Kiev. Navigating through the city can also prove to be tricky since all the signs around the city are in Ukrainian, but don’t fret, you can always guide yourself through the use of GPS or you can travel together with your personal tour guide or date. In a nutshell, a tour around the city can be a unique experience considering that it is economically developed yet has a large percentage of natural parks and greenery. Take time to check out the museums and cultural sites. If you would like to interact with the locals, then the best places to visit are the city squares and to travel via public transportation. For religious sightseeing, the city’s churches have intricate architecture and designs perfect for the architecture enthusiast in you. Above all else, be captivated by the Kiev women you will see all around you and behold their beauty. For a memorable experience, get the chance to travel on your own through our individual club tours to Kiev or by group through our singles tours. Registration is free and comes along with various benefits! Meet beautiful Kiev singles today!